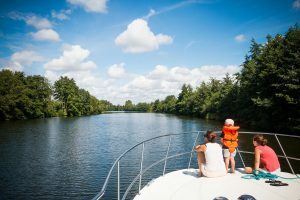 In the warm climate of this former Province of Anjou, Les Canalous will encourage you to select your houseboat and train you to captain it. You’ll then be able to embrace the freedom offered by a dense network of waterways, allowing you to discover all the region’s treasures. 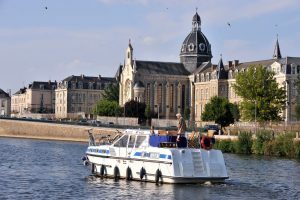 From Châteauneuf sur Sarthe Discover the pleasant town of Châteauneuf sur Sarthe in the Maine et Loire département, home to our waterway base, from which you can put together your next waterway cruise. From Chenillé Changé If you’ve decided to start your waterway cruise from our base at Chenillé Changé, your holiday will begin well before your board your boat. Welcome to a village that regularly wins prizes as a ‘village de charme’ and ‘ville fleurie de France’. 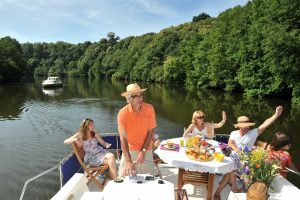 From Daon We invite you to navigate the Mayenne, setting off from our waterway base in Daon. This town between Laval and Angers can be the starting point for a cruise lasting just a few days. The wealth of attractions this region has to offer nevertheless justifies setting aside several weeks if you can. 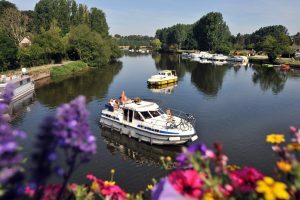 From La Suze sur Sarthe Head to the municipality of Suze sur Sarthe near the city of Le Mans, where you can pick up your licence-free rental boat. Cli­mate and geo­graph­i­cal set­ting are two essen­tial cri­te­ria when select­ing your des­ti­na­tion to embrace the charms of water­way tourism. Why not opt for the mild cli­mate of Anjou and the near­by Atlantic Ocean shore in Pays de la Loire, to expe­ri­ence a water­way cruise with your fam­i­ly or friends ? No less than 300 kilo­me­tres of water­ways await, allow­ing you to choose the itin­er­ary for your house­boat hol­i­day. 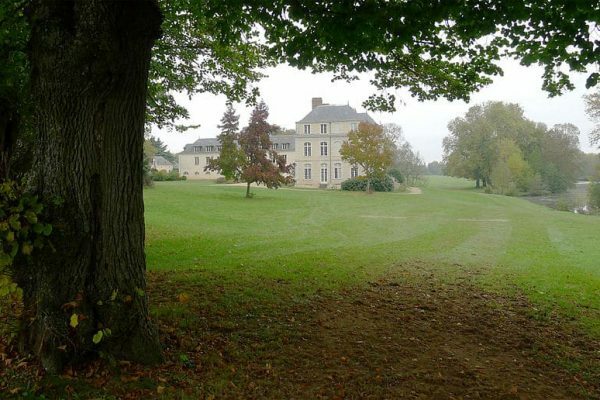 Nav­i­gate the waters of the Mayenne, Sarthe or Oudon for a guar­an­teed immer­sion in the well-pre­served hilly land­scapes that have secured the rep­u­ta­tion of what was once the province of Anjou. Will you also take advan­tage of your cruise to unveil the secrets of an event­ful and excit­ing his­to­ry ? 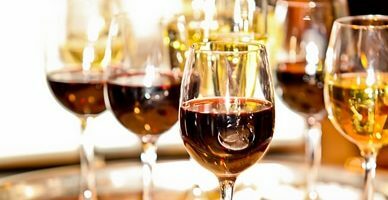 Trav­el through the town of Laval and, from the deck of your licence-free rental boat, you’ll be able to admire its château, which dom­i­nates the entire riv­er val­ley. Between Laval and Mayenne, you’ll dis­cov­er the wilder aspect of this epony­mous riv­er, tak­ing to the tow­paths to immerse your­self in the region’s tra­di­tions. Launch your house­boat on the waters of the Mayenne and head south to take in a series of pic­turesque tra­di­tion­al vil­lages that will enchant every mem­ber of your crew. Whichev­er route you choose, you’ll be able to go wher­ev­er your desires lead. 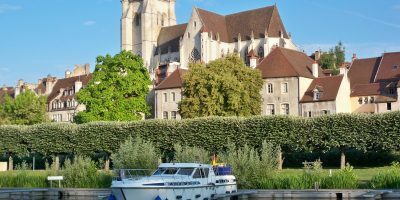 From Angers, the medieval town par excel­lence, to the abbey of Solesmes, you won’t be short of ideas for great stop­ping points for a water­way cruise that will quick­ly become unfor­get­table. 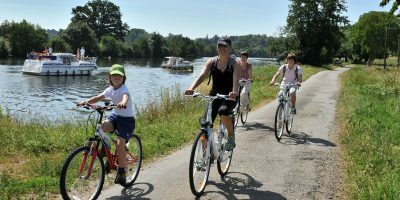 1 / 5 Le Lion d’Angers: a land of water and horses The river Oudon runs through the town of Lion d’Angers, separating the heart of the old centre from Isle Briand park, and making it an essential stopping point during your waterway cruise. This is where you can visit the Lion d'Angers national stud farm. There are several events organised throughout the year allowing you to immerse yourself in the equestrian world, so take the time to visit this place and admire the descendants of the horses that were once a regular feature along the region’s towpaths. 2 / 5 Abbaye of Notre Dame du Port du Salut Founded in the 14th century, this former priory of canons became the famous Abbey of Notre-Dame du Port du Salut after the French Revolution. 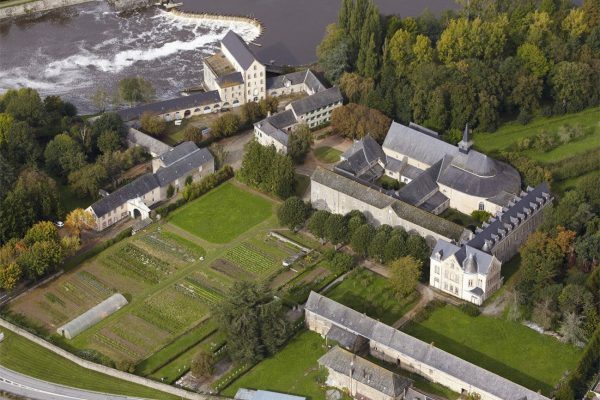 The Trappist Abbey of Entrammes made a name for itself through the production of its eponymous cheese. Today, this is a place of peace and quiet – you’ll indeed be surprised at the calm reigning here, in contrast to the frenzy that, for centuries, characterised this ford on the Mayenne. Although the abbey no longer produces its famous cheese, it will welcome you with open arms for a few days of isolation and meditation. 3 / 5 Angers, its château, gardens and Terra Botanica The Château des Ducs d’Anjou is a must-see in the city of Angers, but not its only treasure to explore. From Végépolys to the numerous municipal parks, Angers stands out as a real garden city. Don’t miss Terra Botanica in the upper Saint Aubin district. 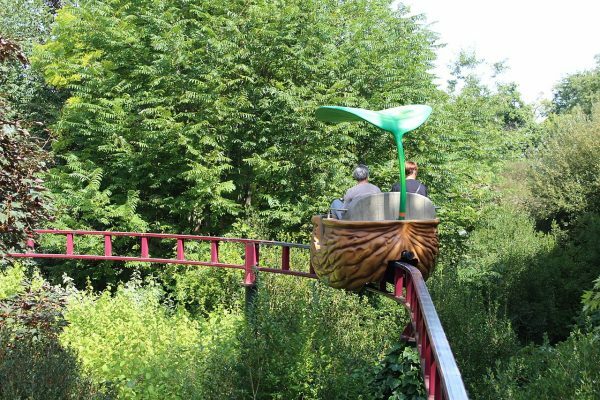 This theme park covers over 40 hectares and is entirely devoted to the world of plants and biodiversity, organising a host of events of all kinds around the theme of flora. This is one of the key places to visit as you embrace an alternative form of tourism on your waterway cruise. 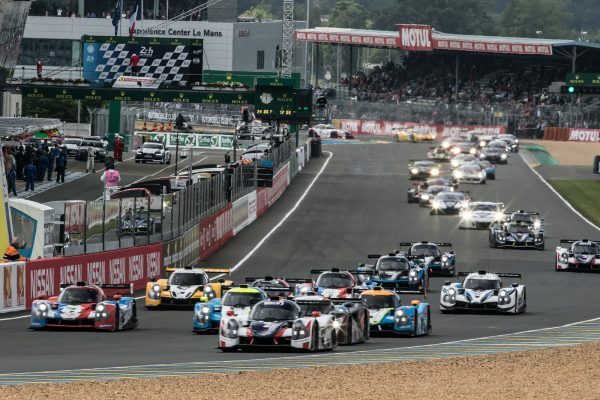 4 / 5 Time for some excitement during your gentle-paced cruise with the 24 Hours of Le Mans You’ll be enchanted by the striking contrast as the soothing rhythm of your licence-free rental boat gives way to the crazy pace of racing cars taking to the 24 Hours of Le Mans circuit. You’ll discover all the legends of motor racing at this venue, which is open to visitors. The 24 hours of Le Mans is a major sporting event and a highlight of the year for many. Take a tour as you ring the changes and discover something other than the medieval buildings or churches of centuries past. With a track nearly 14 kilometres long, this legendary motorsport racing circuit could be your next pit stop, so make the most of the opportunity! 5 / 5 Flourishing locks The locks in Anjou will be one of the highlights of your waterway cruise. Whether on the Mayenne, Sarthe or Oudon, every lock is unique, and a lot of effort is made to make them look their very best. You’ll be surprised to see locks housing a grocery store and even photo exhibitions, which won’t prevent you, of course, from admiring their floral decoration, part of a real tradition here. It’s up to you to go with your desires and discover a unique and unforgettable place each time you negotiate one. Whether or not they are managed by a lock keeper, these jewels of the waterway heritage will be forever engraved in the memories of every crew member.